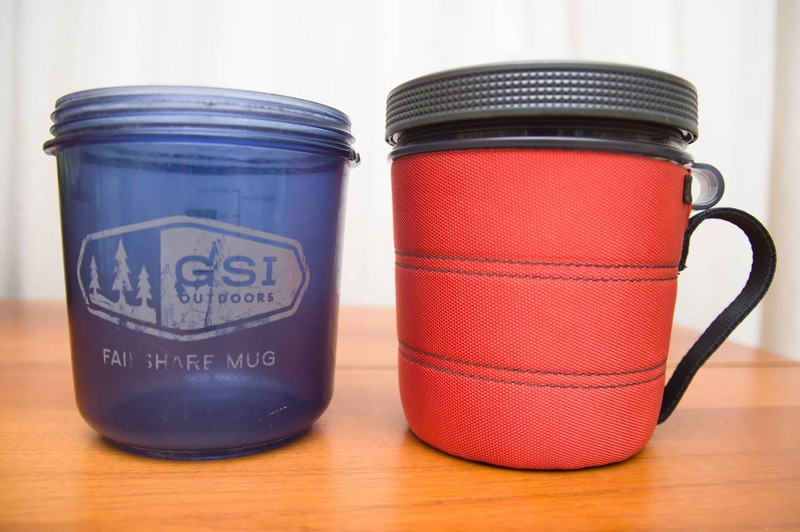 The GSI Outdoors Fairshare Mug has been a staple of back-country enthusiasts for over a decade. 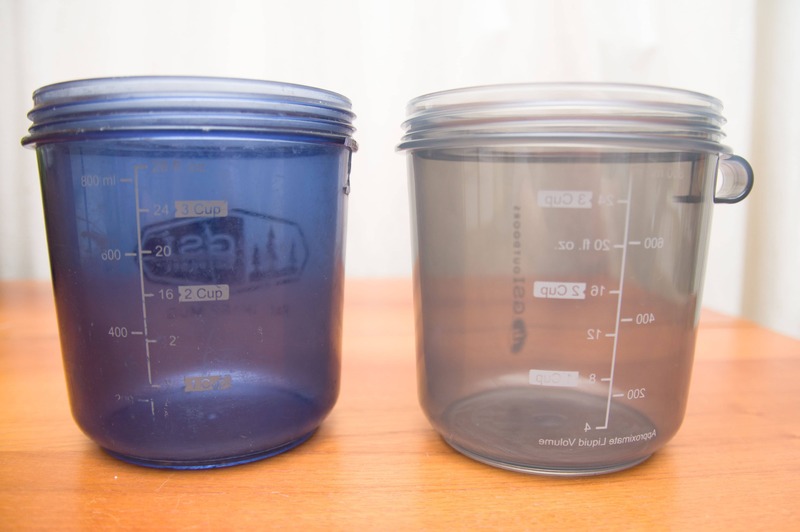 Basically a measuring cup with a screw on lid, it’s a favourite of alpinists, backpackers, climbers, skiers, etc. The reason: It works! It’s the perfect size to dupe an unsuspecting cook into giving you an extra scoop of grub, it’s easy to clean and it’s very multi-functional working as a bowl, cup, storage container, etc. That being said, the original FairShare wasn’t without its flaws. Basically the hard plastic handle is makes it difficult to Tetris it into a backpack and anything put into it cooled very quickly. To deal with these issues many industrious campers have chopped the handle off so that the mug would fit better in their overstuffed pack and cut-up and old foam mattress to insulate it. My old Fairshare on the left with the new one on the right. I seem to have misplaced the lid to old one on my last trip. Luckily it’s possible to buy replacement parts, a service I hope is extended to the new model. The new handle in all it’s glory. The insulating sleeve retaining strap can also be seen going through the small carabiner clip-in point. One other change is the inclusion of a small carabiner clip-in point for attaching it to packs. I know, I know, why the heck would anyone want it bouncing around on the outside of their pack!?! Well, that’s why I didn’t include this feature under the “Improvements” section. I think one of the key reasons for this small loop is actually to hold the insulating sleeve in place. 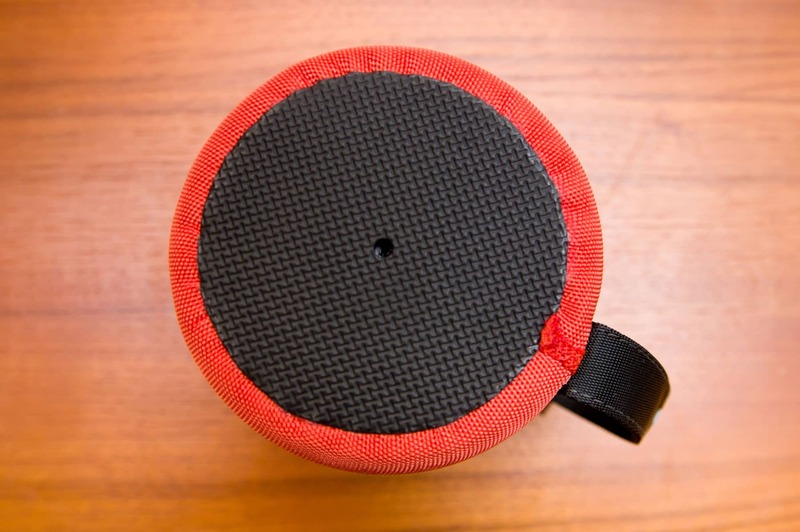 The insulating sleeve covers the bottom as well as the sides. What haven’t they changed? Well it’s still the same size (great!) with the same handy measuring cup marks on the side. Basically, they’ve taken this great product and made it better. The old and new FairShare compared side-to-side without the warming sleeve. Pros: Easier to pack & keeps food warm much longer. Cons: I may be a biased as I really like the Mug and can’t find fault with the new design. 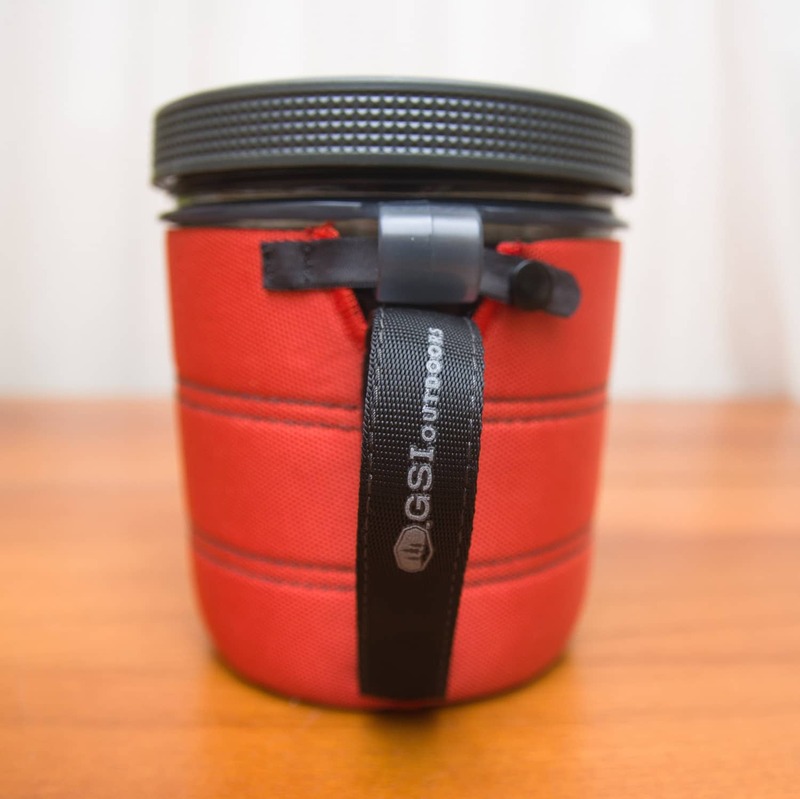 Overall: A fantastic backcountry camping tool made better! If you already have the original it may be time for an upgrade.